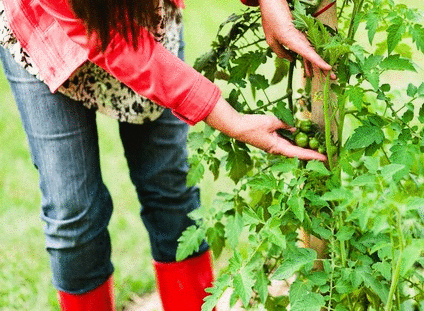 Book an online chat for professional advice or on-site garden visit with expert organic gardener Anne Gibson. Design tips, problem solving + hands-on help! Looking for a garden gift? 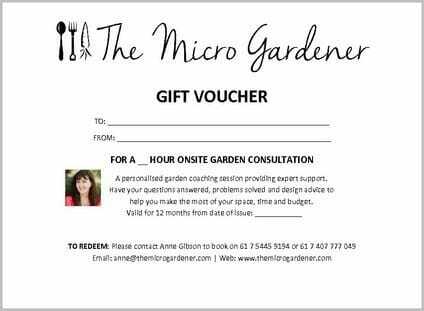 An Onsite Garden Consultation Gift Voucher is perfect for any gardener who needs help or advice. Ideal for last minute gifts. This gift is customised to meet the recipient's needs. They can use the time however they wish! An Onsite Garden Consultation Visit is an easy solution. I visit the gift recipient's garden for one hour (or more) and provide personalised expert advice, a tailored course or workshop. 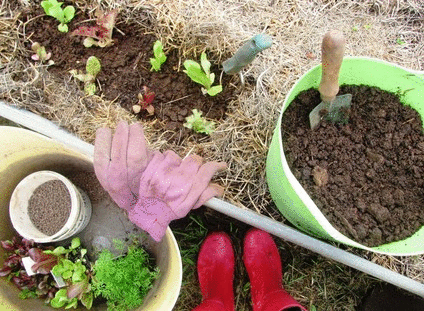 Do you know someone who needs help in their garden? Has questions about getting a garden started? Not sure what plants to sow and when? Needs assistance setting up a garden or maintaining it? Needs a plan or help solving specific problems? 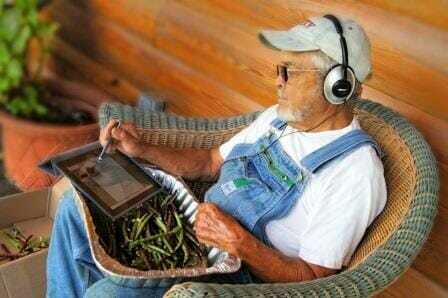 If so, my onsite garden consulting service is a perfect gift. Have questions? Feel overwhelmed and don't know where to start? Need advice or a plan for your garden? Want help solving specific problems? I offer a flexible, personalised service with call options via Skype; Google Hangouts; Facebook instant messaging; by phone and/or email - no matter where you live in the world. Looking for a garden gift? A Live Chat Garden Gift Voucher is perfect for any gardener who needs help or advice. Ideal for last minute gifts. This gift is customised to meet the recipient's needs - they can use the time however they wish! 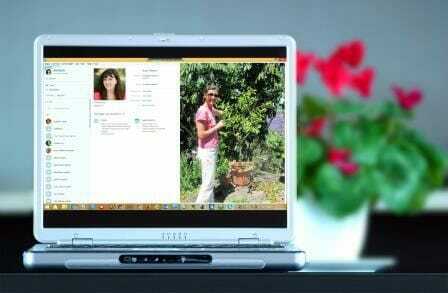 A Live Chat Garden Coaching call is an easy solution. 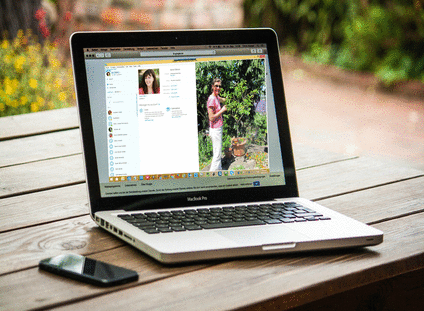 I offer a flexible, personalised service via Skype, Google Hangouts or Facebook messaging - anywhere in the world. Chats are scheduled by the hour, so you can purchase one session at a time or choose 2+ hours for more in depth help. I provide dedicated attention, tips and expert advice. We can photo share and address problem issues to save time, money and effort.